Americans may pause for a long holiday weekend filled with feasting and football, but for the nation's retailers, it's showtime. By now, consumers should be aware of the deals available from all the brick-and-mortar and online stores since the ad slicks have all leaked and are published all over the internet. You can check out some of the best deals here. The next few days will be all about making the sale -- getting consumers into the stores and onto the websites. Some stores will be open for at least a few hours on Thanksgiving Day. Nearly all will open at the crack of dawn on Black Friday. Our friends at BestBlackFriday.com have compiled this handy list of store openings. Amazon has been rolling out daily deals since the beginning of November, but it’s saving its doorbusters for the big day itself. Target and Walmart have also tried to entice consumers with early online deals. It seems to be working. Verizon tracks digital commerce with its Holiday Retail Index and reports that consumers are buying more online at this point than last year. Traffic was up 4.19 percent on Saturday compared to the last Saturday before Thanksgiving 2017. On Sunday, it was up over 14 percent compared to last year. "The early engagement from retailers appears to be paying off as traffic this year continues to grow from years past," said Michele Dupré, group vice president of Retail, Hospitality & Distribution, Verizon Enterprise Solutions. 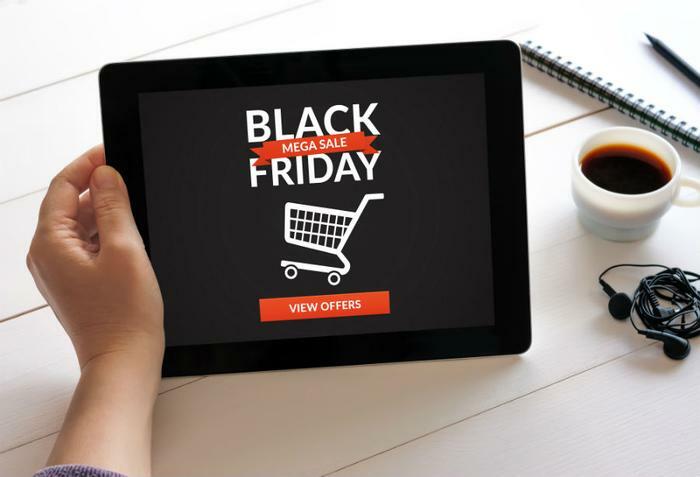 “A strong trend in consumer confidence is highlighted by shopper’s interest in the early Black Friday deals that we started learning about in early November. The challenge will be to see if this trend can be maintained throughout the season." An analysis by Internet Retailer projects consumers will spend nearly 120 billion online in November and December, a 15 percent increase over last year's total. Meanwhile, consumers are being urged not to overlook their local, independent merchants. "America's 30 million small businesses reflect the unique character of their communities and Small Business Saturday is a day for consumers to support the local retailers that make their towns and cities special," said U.S. Small Business Administrator Linda McMahon. "When Americans shop at small businesses, they are supporting economic activity and job growth in their neighborhoods during this holiday season." The deals will continue on Cyber Monday, but most probably won't be announced until the weekend so they don't upstage Black Friday. Retail analysts say Cyber Monday may offer some of the best deals of the long weekend since retailers can make last minute adjustments to compensate for a less-than-stellar Black Friday. And if your wallet seems lighter after the long weekend, it probably is. According to a forecast by Salesforce, 40 percent of holiday spending will be done in the first week of the holiday shopping season.